Daniela Procopio is one of the best Brazilian soprano-singer of her generation and she is presenting her new show with original songs (a few in partnership with some of great brasilian music masters like: João Donato, Carlinhos Brown, Moraes Moreira, Armandinho Macedo, and also a never performed singing song from Heitor Villa-Lobos) from her second solo album “Gueixa Tropical” more a few selected new cuts, latin Jazz songs with organic swing and rhythms from Brazil. The show leads the audience to feel the diversity and richness of Brazilian Popular Music (MPB), with high musical quality and displaying with dynamic their different rhythms by approaching legends and mysteries through the singer and a super band formed by Brazilian jazz musicians living in Europe. It’s a must-see for all MPB, Latin Jazz and Brazilian culture lovers and enthusiasts. Apart from working on her musical career, Daniela is also a former graphic designer with some brazilian and international awards. 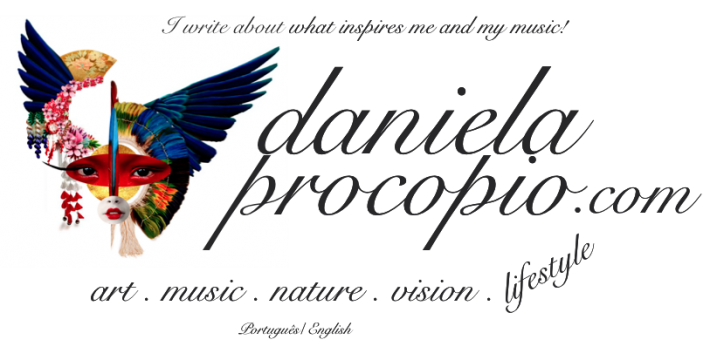 Now she has a new life, living in Vienna to do her shows, write her first novel, “Gueixa Tropical”, the Romance”, write also on her new site http://www.danielaprocopio.com and learning Deutsch, her fifth language. Das Träume Schloss – O castelo dos sonhos. Querida Dani, o contato com você, seja no mundo real, seja no virtual, é sempre enriquecedor. É um prazer ter sua amizade. Estarei acompanhando suas lindas e ricas postagens também no site. Um beijo com todo meu carinho.